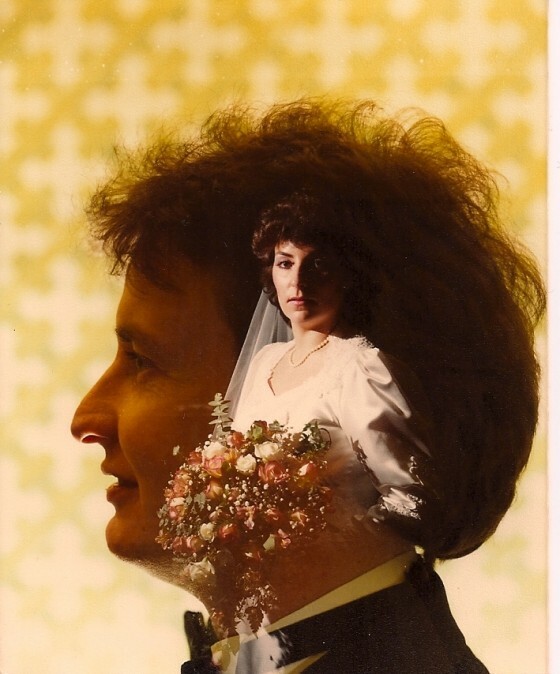 Cue Willie Nelson’s “You Were Always on My Mind.” The bride seems really p*ssed that she’s stuck in her husband’s head. What was with the whole superimposed BS? That may have been hilarious in yearbook photos, but wedding photos? Just tacky and weird. We wonder A) if this couple is still together, B) is she still angry about whatever it was she was angry about and C) if they still think these photos were a good idea?